Blackwater Meadow Marina is located by the Llangollen Canal on the outskirts of the beautiful market town of Ellesmere in Shropshire which dates back to at least Anglo Saxon times. The attractive marina is well equipped with a shop selling boat spares, canal maps, guides and confectionary. On the site there are boats for sale, mooringswith electric hook ups, wi fi and full marina services including a dry dock for out of the water repairs. 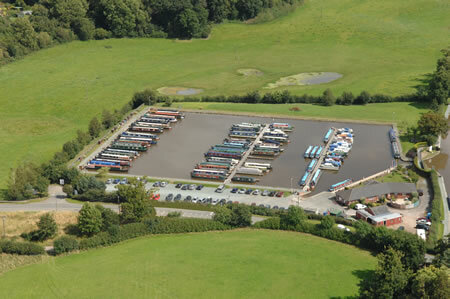 Blackwater Meadow Marina is a comparatively new marina situated close to the junction of the Ellesmere Arm on the busy and ever popular Llangollen Canal. The site was developed in the mid 1990’s by Mick Bridges and his wife Christine who fitted out boats and ran the marina until they sold it on 1st August 2002 to the present owners Waterways Property Portfolio (WPP) Ltd. Jamie Hill is the Managing Director of the marina and is also a director of Canaltime but the day to day operation is in the hands of Neil Huggon, the Marina Manager. Before he started at the marina in June 2003 Neil’s only previous boating experience was competitive sailing in the Irish Sea. 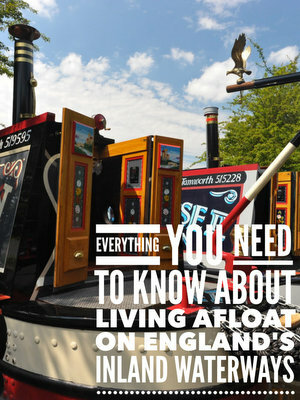 His first trip on a canal was just a week before he started at Blackwater Meadow Marina when his Managing Director arranged a few days trip from Sawley Marina to Burton-on-Trent. This trip, with a friend from his home town, proved an enjoyable introduction to canal boating and Neil was impressed by the tranquillity of the experience and the quality of the boat. The workforce too has expanded. When Neil took up the post of Marina Manager there were 9 or 10 people on the payroll whereas at present there are about 14 covering all aspects of the marina’s business. Some of these are part-time for the season but the increase in the number of Canaltime boats means that there will be more winter maintenance work to be done and thus the prospect of more jobs continuing throughout the year.